This ancient practice has been around for centuries. It was birthed by Mother India and has since made it to almost every corner of the world. In the U.S. we’ve seen it pop up in nearly every city/town and people are flocking to this practice for many different reasons. There are so many different styles of Yoga it can be a bit overwhelming, especially if you’re a beginner, but it’s not necessary to get hung up on this detail to start. All that is needed is a little self reflection on the reason one is seeking out the practice, this will lead to the type of Yoga that he/she engages with and can look very different and unique person to person. Some people come to Yoga for the physical aspect: to loose weight, to get into shape, to heal their bodies etc. Others are looking to develop a connection with their spirit and the source from which all life is created. No matter the intentions, Yoga welcomes any and all with unbiased arms with a guarantee of an increased well-being. For those that are skeptical due to a fear that there may be a faith contradiction, as there is a common misconception that Yoga is rooted in Hinduism, fear not… the religious structures of Hinduism developed much later and incorporated only some of the practices of Yoga, but will get into the spiritual aspect a little later. 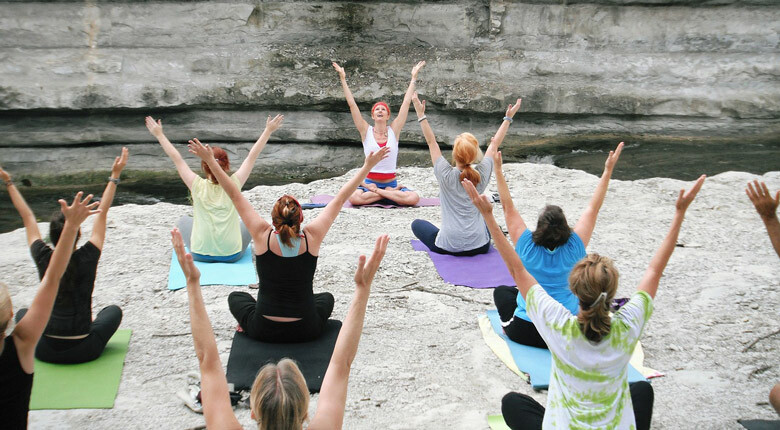 The techniques that we now know as Yoga, is based on collective experiences by many individuals over thousands of years. The Yogi’s, teachers, guru’s (whichever name you prefer), that developed this system…yes, system. Traditionally speaking, Yoga was developed as a how to, a science on how to come to Samadhi, in Sanskrit which roughly translates to: enlightenment or a fancy way of saying to come into a state of oneness. Did so to help others find harmony within and balance in life. One of the earliest texts found and that is still drawn upon in today’s Classical Yoga is Patangali’s Yoga Sutras,“Eight Limbs of Yoga,” which I recommend checking out if you are interested in the origins of the practice. Thanks to the legacy they have left behind, today anyone who desires to, has the ability to implement these teachings into their daily life. Yoga comes from the Sanskrit word Yuj- to join, to unite. In the modern world there is a an emphasis on the physical aspect, the asanas (the postures). It is important to note however, the asanas were described and integrated into the school of Yoga only after the philosophy took roots. Yoga at its root is a spiritual practice, not religious, but spiritual…yes, there is a difference! Yoga refers to the union of individual consciousness and universal consciousness, the union of body, mind and soul- the inner union and harmony. According to Patanjali’s Yoga Sutra’s, Yoga is a discipline that requires control and restraint from the things we don’t want in life, like an unsteady mind, suffering, impurities and illusion, etc. Which leads us down a path of freedom, self-realization and liberation. It’s important to understand the definition of Yoga in a broader sense so that we don’t limit yoga to the mat for a few hours of posture practice.